Blending stylishly with your home, fitted bookcases modern or traditional, all of your awkward spaces can be taken care of with our bespoke bookcases. Our made-to-measure bookshelves work in any room and can incorporate features such as mirrors in the hallway, media centres or space for a sofa in the living room. 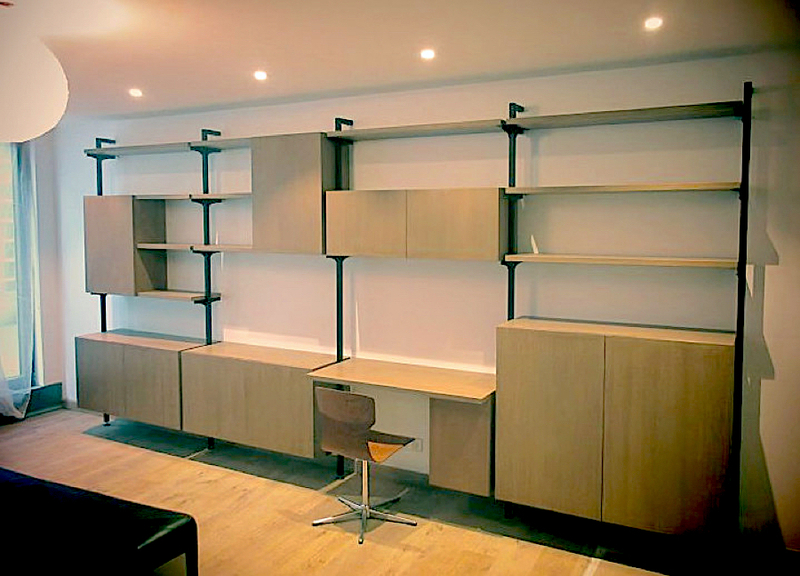 With offer fitted bookcases in Paris which can even kit an entire room out with bespoke shelving to house your library. Studies with bookshelves and a bespoke desk are a fantastic way to make use of a small room. I would just like to say that Menuiserie James Paris delivered my new library yesterday and they were fantastic!